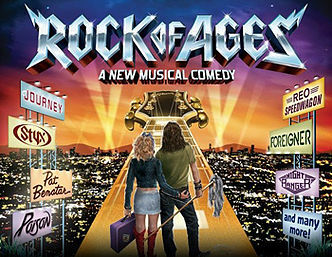 Rock of Ages, nominated for five Tony Awards, including Best Musical, takes place in 1987, on the Sunset Strip, when a small town girl meets a big city rocker. In LA’s most famous rock club, they fall in love to the greatest songs of the 80s. The story is told through the mind-blowing hits JOURNEY, STYX, REO SPEEDWAGON, PAT BENATAR, and many others. Some of the classic rock hits include Hit Me with Your Best Shot, Anyway You Want It, We Built This City, & Dont Stop Believing. The original Broadway production ran for 2,328 performances, making it the 29th longest running Broadway musical.